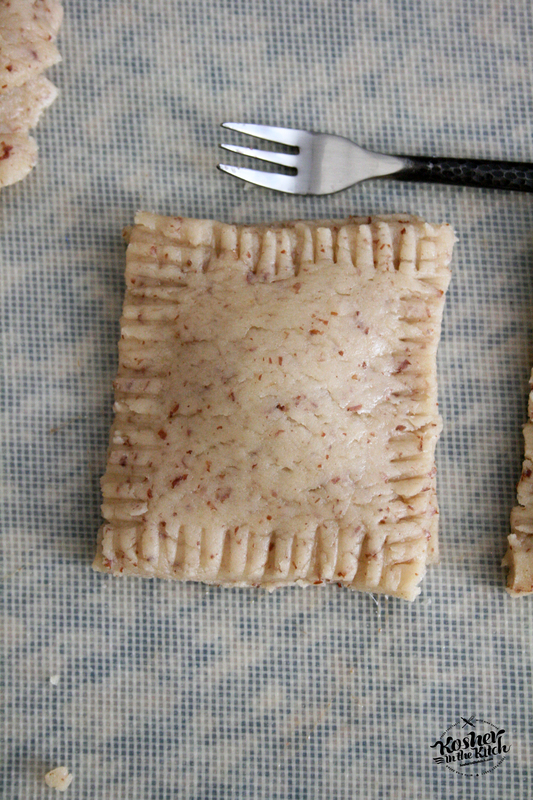 Vegan Pop Tarts - Kosher In The Kitch! 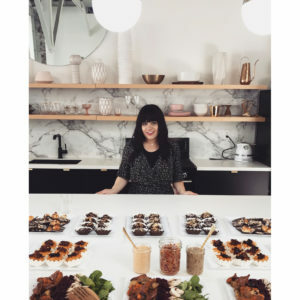 Vegan Pop Tarts - Kosher In The Kitch! Cream together flax seed water mixture, sugar, oil, and vanilla. Slowly add flour and baking powder. Mix together. The dough might be crumbly, use your hands to smooth it out and combine it. Roll out dough on floured surface. Cut out rectangles. 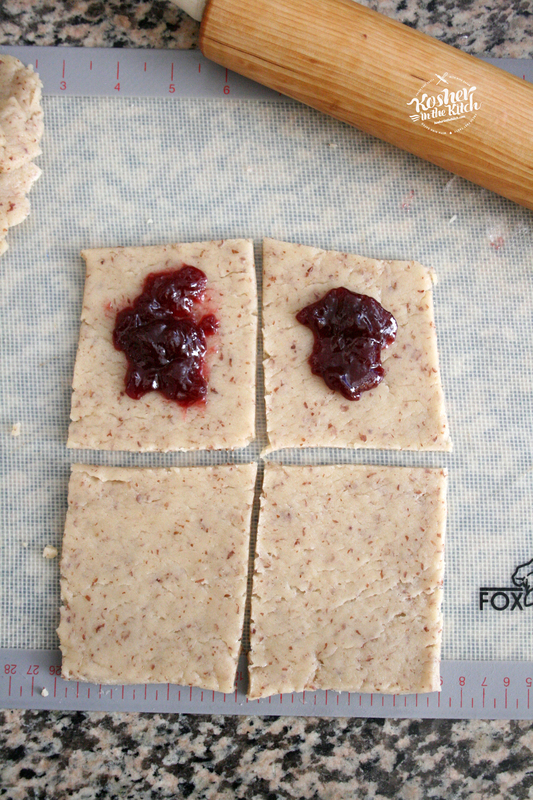 Fill center of dough with 1 tablespoon jam then cover with another rectangle gently pressing the edges down. Using a fork crimp the edges down all around. Bake on 350′ for about 20 to 25 minutes. 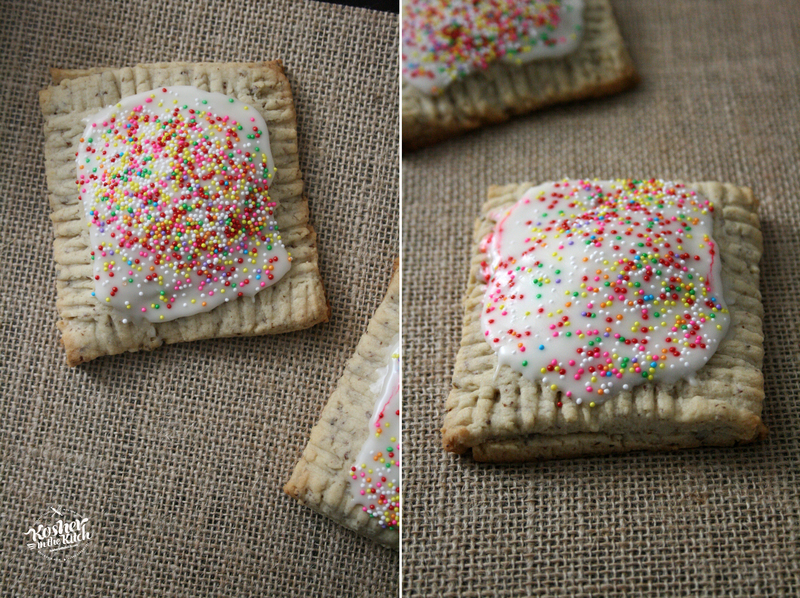 Once cookies have cooled off, combine frosting ingredients and frost the center of each pop tart and immediately place sprinkles on top before the frosting hardens.